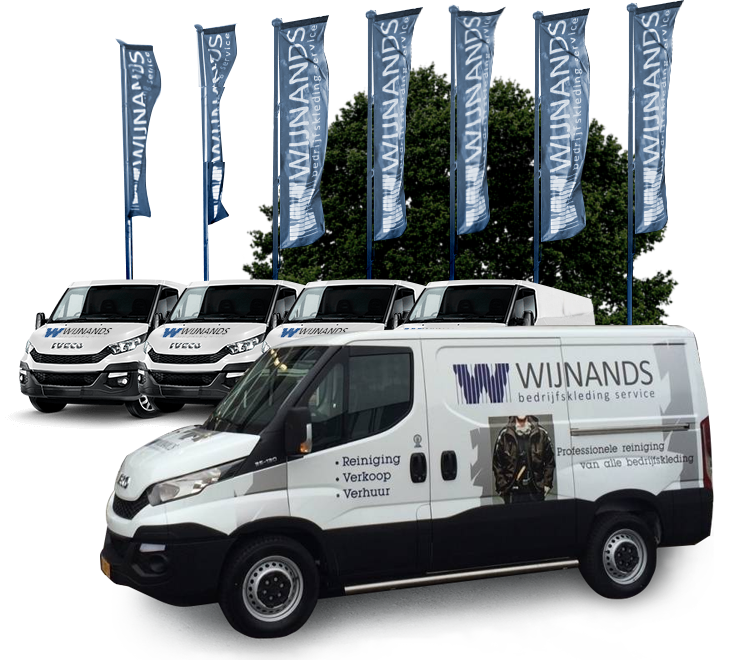 Wijnands workwear service has been leading in textile services for over 60 years. We offer a complete package of services, which allows you to choose the solution that suits your specific needs best. Our services range from cleaning & repair to full service lease. We also offer a wide variety of workwear, safety footwear and personal protective equipment (PPE). To make it even easier for you, we also supply additional products such as floor mats, towel dispensers and locker cabinets. Wijnands always goes the extra mile. With our 3 service concepts (cleaning & repair, full service lease and workwear & PPE), we help our customers improve their employees’ safety and appearance. On top of that, your total cost of ownership of workwear will decrease. Professional service with a personal touch, that’s something you can count on with Wijnands! As we are specialists in protective workwear, the personal protective equipment (PPE) of your workers is in good hands. Our professional cleaning service includes, if necessary, the re-refining of certain types of clothing, to guarantee that the workwear remains waterproof, fire retardant, acid-resistant and / or antistatic. The driving force behind our organization is a dedicated team that is supported by the most advanced technology and procedures. We strive to provide you with personal service that suits your specific wishes. With our delivery service, Wijnands collects the dirty clothing at your company and delivers clean workwear back to you. Corporate Social Responsibility gets a great deal of attention at Wijnands. Cleaning, repairing and re-refining textile is recycling at its best. In our cleaning process, we aim to limit the possible negative impact on the environment. We also take our social responsibility by supporting civil society and by hiring people with poor job prospects. Wijnands workwear services was founded in 1953, in the time of the Dutch State Mines. Wijnands picked up the miners’ dirty clothes, took care of the cleaning and – if necessary – repairing and delivered the workwear back. 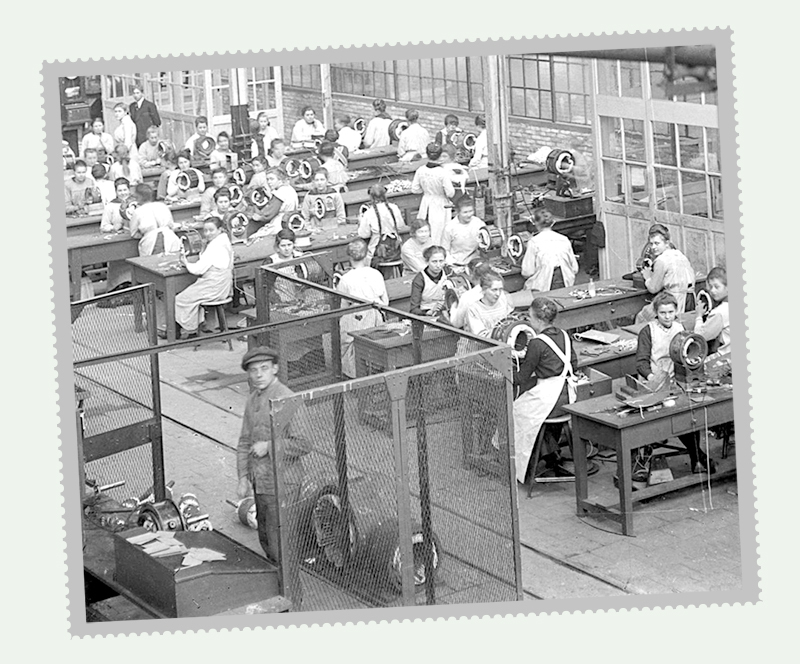 Nowadays, Wijnands still cleans for the German mining industry, but also for many other heavy industries. Providing personal service still is our number one priority. Our working area is in the Dutch province of Limburg and the adjacent parts of Germany (Ruhr area).